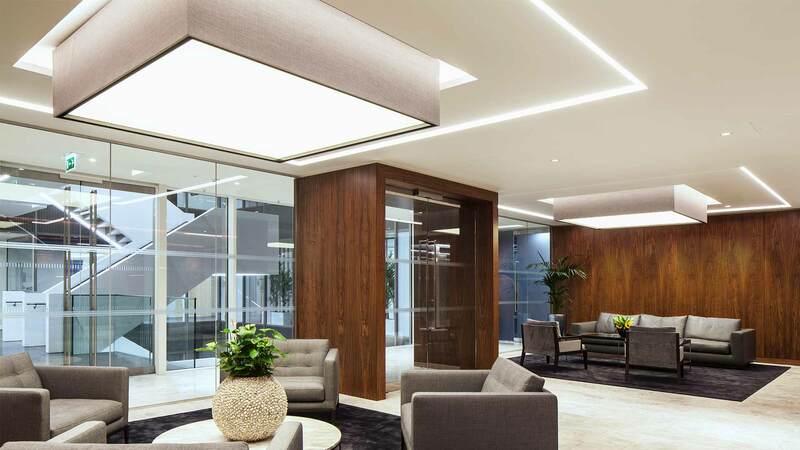 The lighting scheme for this office fitout is sophisticated and timeless to match the contemporary, classic interior design, and it played a crucial part in successfully meeting the “Excellent” BREAAM rating. 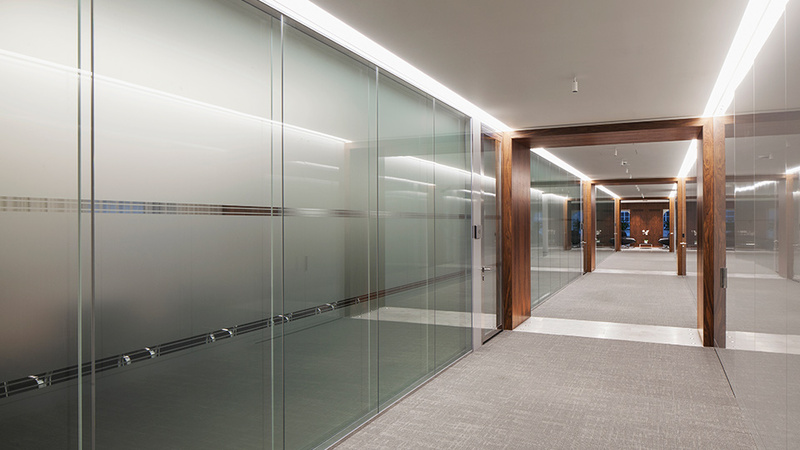 The lighting highlights architectural details, materials and textures, and provides functional levels of illumination for day-to-day tasks. 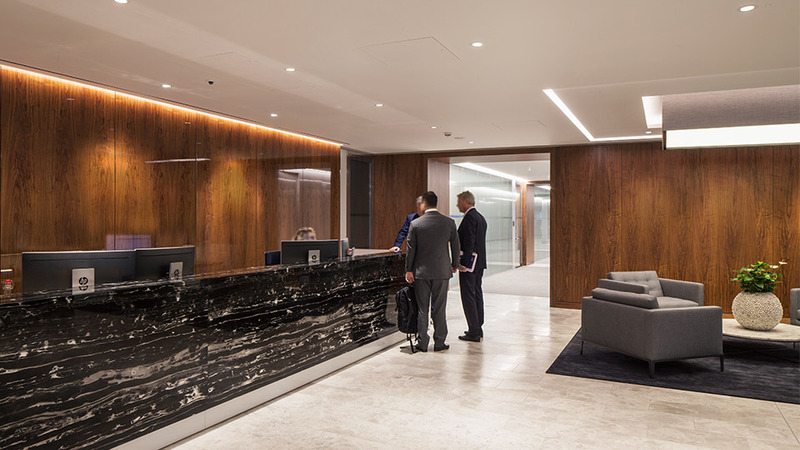 Behind the reception desk a linear trough grazes light over a walnut feature wall to bring out the wood’s grain and form an eye-catching backdrop. 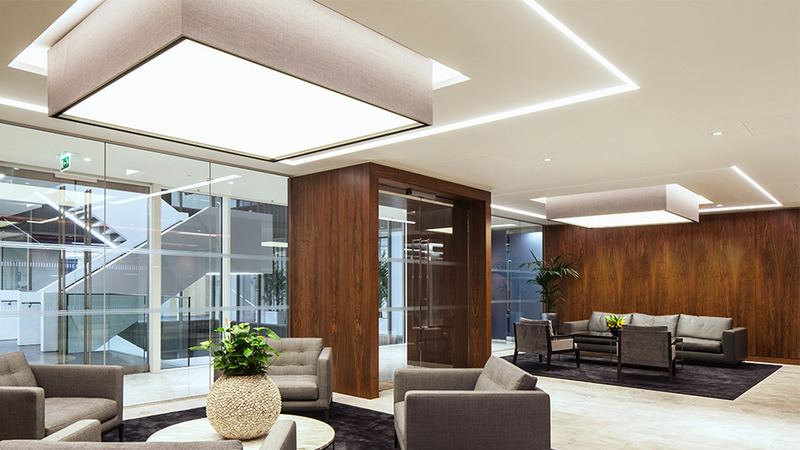 In the lobby, two seating areas are individually framed with light that’s built into architecturally tiered ceiling details, which step up towards over-sized bespoke shades. Wooden portals break up and add rhythm to purposely-wide corridors, and small uplights in the stone base accent the timber beautifully. 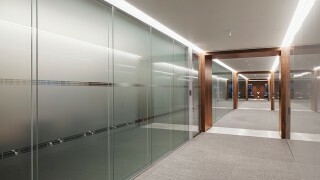 The corridors’ functional light comes from lines of illumination running down either side of the space. 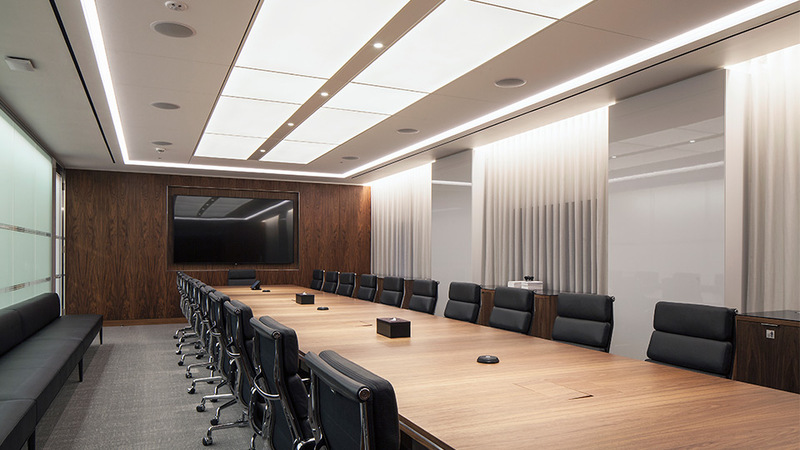 In large meeting rooms there’s a mix of ambient and task lighting: illuminated ceiling panels framed with a rectangle of light create the atmosphere, whereas downlights run down the centre to highlight the table. 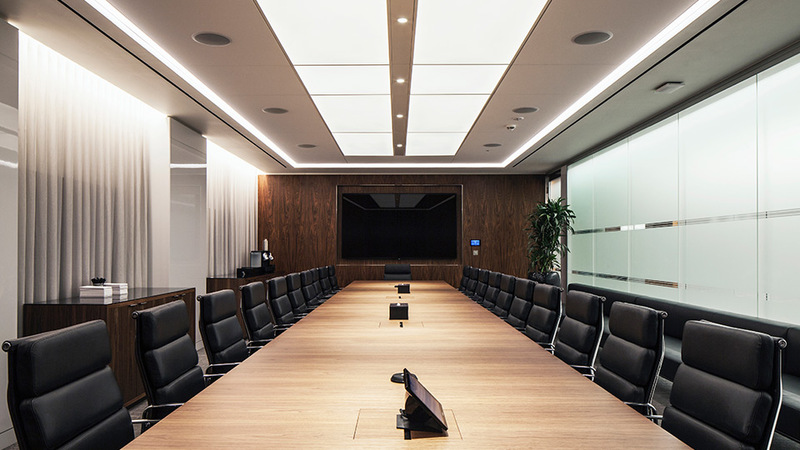 The design includes scene setting so the right level of brightness and contrast can be achieved for video conferencing and other various uses. The end result looks great, but there were a few challenges. Firstly, restricted ceilings meant the lighting solution had to be incorporated within a limited space. Secondly, the heritage façade has some unusually small windows, so daylight is limited. 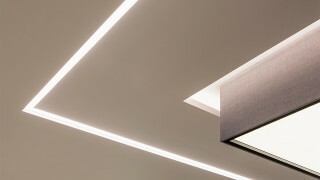 To boost light levels LEDs were integrated into curtain pelmets – they wash light across the sheer fabric, making the windows feel bigger and rooms brighter. The uplighting to the portals - it brings out the warmth and depth of the timber, and avoids putting the timber frames into silhouette.